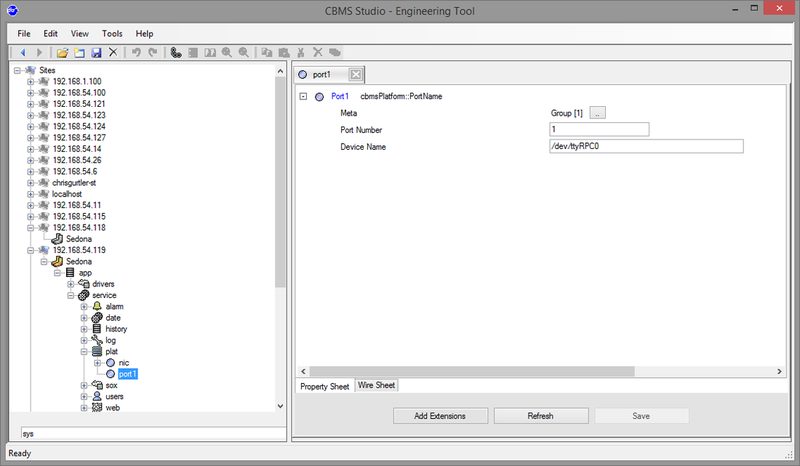 To configure CBMS studio to use the port, navigate to /app/service/plat/port1 as shown by the screenshot to the left and change the Device Name to the one used by your add on board or USB port. CBMS Studio will map the device name to a numeric port number, in this case Port 1. 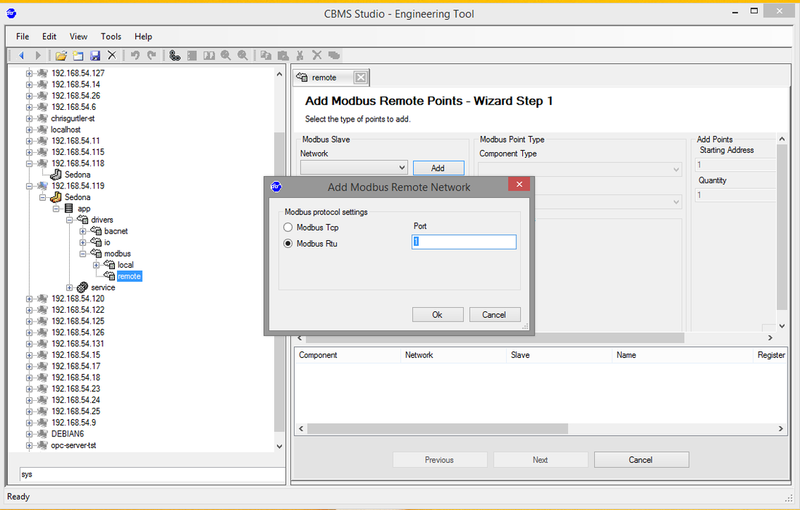 Now when you add points using the Remote Points wizard as described in the how to Modbus To BACnet Gateway you can reference the serial port as number 1 using the Modbus RTU protocol. The same port mappings apply when adding a BACnet MSTP port, or a Modbus Local RTU port.